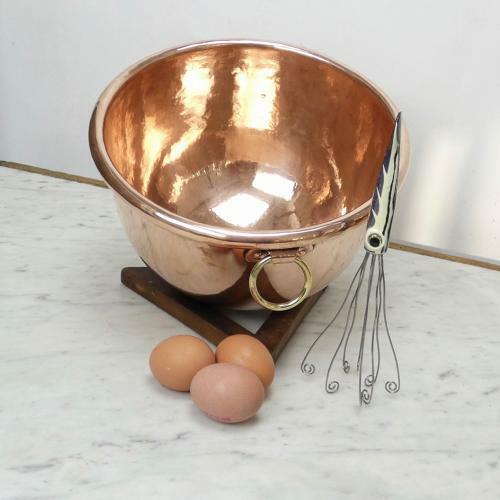 A very good quality copper egg bowl dating from c.1860. This is quite a small egg bowl but it is very deep in relation to its' diameter. It is made from an exceptionally heavy gauge of copper and it has a heavy, folding, brass ring handle. This is attached by a simple copper fitting. Egg bowls were used for whisking egg whites. They react with the copper making for a much lighter meringue. This is a good, usable size and it is in excellent condition.